A few days ago I posted a photo of the avocado sherbet I made and included a recipe. The following day I tried doing the same using papaya and here’s the update: EPIC FAIL. lol So much for trying to be a foodie/mommy blogger. I realized papaya is too watery. Since I didn’t use whip cream in making this, it turned out to be just mashed papaya minus the water. My sister laughed after having a small bowl and she said, “it’s very similar to papaya shake.” So it’s definitely nothing close to an ice cream! I joked that we’re adults eating Genber baby food. 🙂 Do you know other fruits with similar texture to avocado? Cottonfruit is in season! 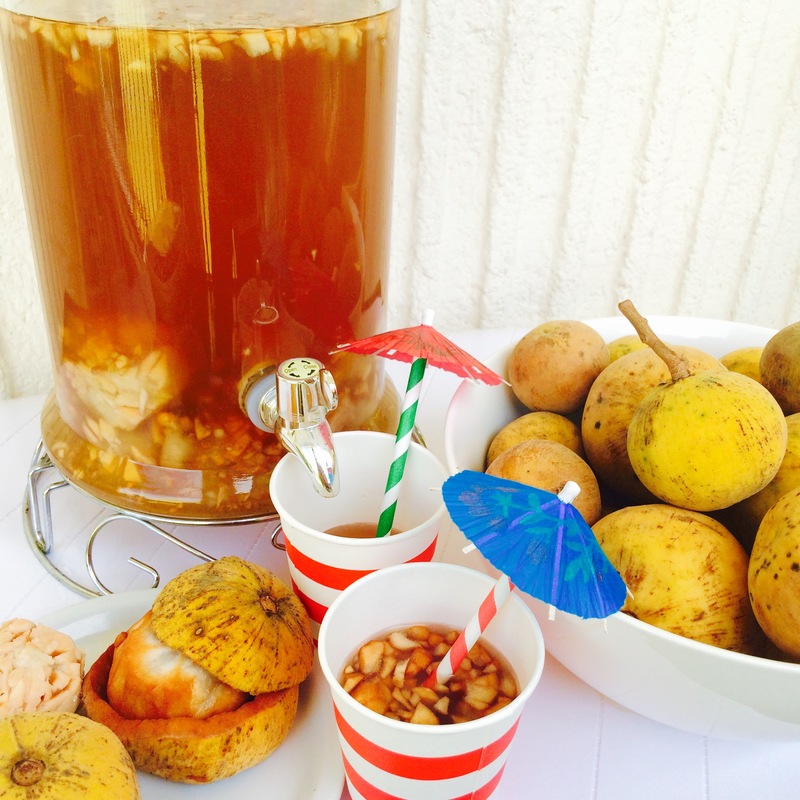 Mom bought a huge bag of cottonfruits and we made fresh santol juice. Do you have cottonfruit trees in your country? Or make a Papaya Sherbet. I feel the avocado! 🙂 I might make this one of these days. here’s one to try- dont give up!